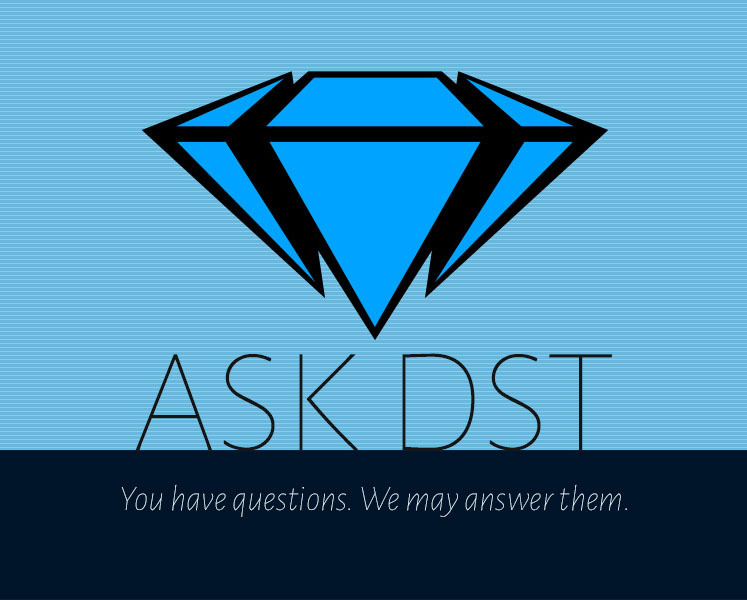 It’s a new Ask DST with the president of Diamond Select Toys, DSTCHuck, and this one is all about Marvel! Chuck answers your questions about Marvel Select action figures and Marvel Gallery PVCs, and while there are some “no” answers, there’s also a yes, some maybes, and an “I wish” or two! Read on to see what he says, and submit your question in the drop-down form up top, or e-mail DSTChuck! DSTChuck: A VERY strong “maybe” you will see more than one of those in 2018. Any chance of making a Marvel Select figure of Ares and Sentry? DSTChuck: There is always a chance it may happen in the future, but there is not one planned at this time. 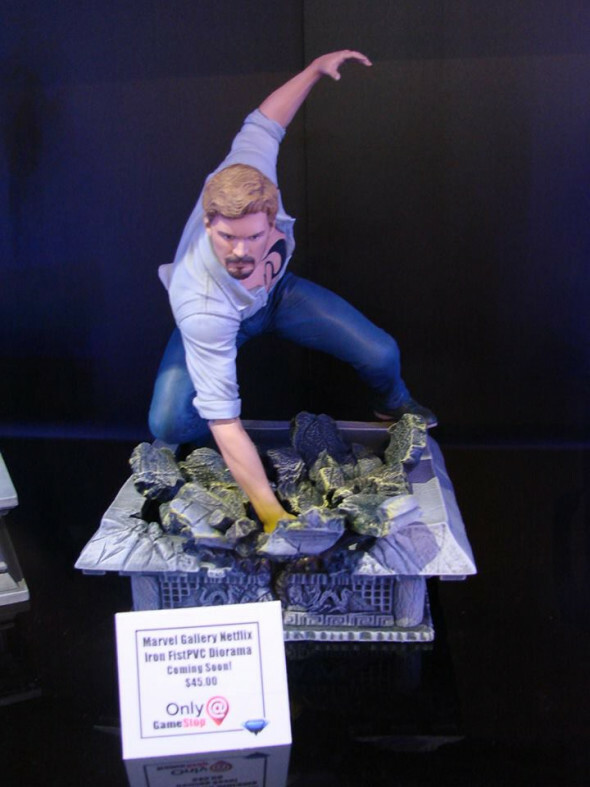 Shouldn’t there have been a Marvel Gallery Statue of Iron Fist (Netflix Series) exclusively released to GameStop this fall? I’ve only seen a different version for a regular release this spring. I liked the exclusive one more. Did you change plans, so that there only will be the regular one? DSTChuck: The GameStop version when he punches the ground is still on schedule as a GameStop exclusive! Hi, in 11/14 Ask DST someone asked if there will be more DST Retro Mego Marvel figure sets. DSTChuck replied that the next set is the 2nd Deadpool set in 2018 after that “we’ll see.” Chuck added the Deadpool sets have been the strongest performers by a wide margin and finding someone who in spires that kind of demand and fits our current template is difficult. Does this mean DST Retro Mego Marvel sets are ENDING in 2018? Is 2nd Deadpool set the FINAL set? Punisher was the only set released in 2017. Is $80 too expensive for the sets compared to the $25 Marvel Select 7″ action figures? DSTChuck: I think for sure the 80.00 price point is difficult. However, that is all that is available to us. Honestly I do not know if there will be any sets in 2018, we’ll have to see. 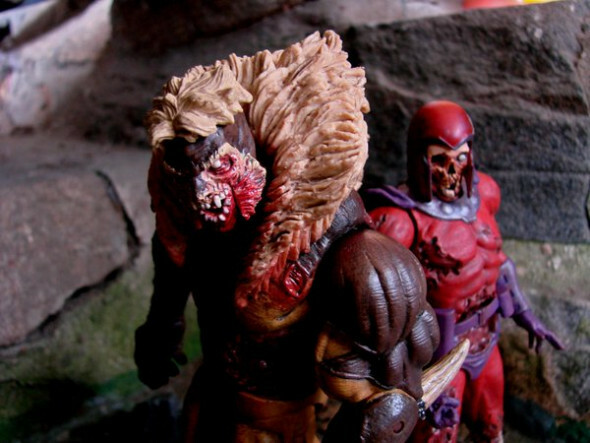 Any chance we can get more Marvel Zombies figures? I would love a full line of these characters! DSTChuck: There is not one planned at this time, but for sure it’s possible; however, we cannot do any of the heroes as zombies. Hi! I’m a huge X-Men fan and I own both the Phoenix and Dark Phoenix PVC figures. With 2018 looking to be a huge year for Jean Grey’s “resurrection” in the comics and also the Dark Phoenix movie from Fox, are there any plans for a Phoenix PVC figure in her white uniform? As a fan of Jean Grey, I’d love to have this figure to complete my Phoenix collection. DSTChuck: As of now that version is not planned, but it’s still early so it’s possible. Hello Chuck! Very important question! On the Internet, there are a lot of rumors that Disney is going to buy Fox’s studio. If this happens, will we finally see the 7-inch figures of the X-Men, Wolverine, Deadpool and Fantastic Four in the Marvel Select line? DSTChuck: the time you read this, Disney has signed a deal to purchase a great deal of the Fox assets. A deal like that can take as long as 18 months to complete, so who knows what the future holds. Will you be releasing Beta Ray Storm Breaker hammers again? DSTChuck: I am sorry, I think that is highly unlikely. Hello DST Chuck, if you could choose a few Marvel Select figures to make, which would they be? Not ones you think will sell well, not things you are limited by licensure, a personal wish list, a few figures you personally would love to make. Thanks! DSTChuck: Hmm, I don’t know… I love Spidey, so maybe some more Spidey villains. I am a big X-Men fan, so anything from #94 through the Jim Lee era. For movies, a Ryan Reynolds Deadpool or some of the X-Men would be cool. I really liked our Mystique! Any Idea when the rest of the Fantastic Four (Human Torch, Mr. Fantastic and Invisible Woman) will be made for the Marvel Select Series? DSTChuck: I wish I knew! Submit your question in the drop-down form up top, or e-mail DSTChuck! 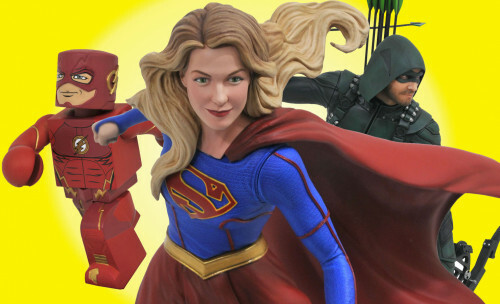 Next Up: DC Superhero Shows Get New Collectibles from DST!